Shes a definite winner!! Weddings, Parties, Clubs, Bars & pubs she is no stranger to. One of the strongest vocalists in the South East. 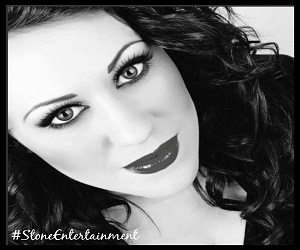 Known as one of the leading and successful Sia tribute acts she is now currently promoting her Bond Theme Tribute evenings to give you a classy evening with all your memorable Bond songs. You really wont be disappointed with this highly interactive female vocalist she really does go all out.